Grouper's five-year old collection culls some of her most accessible material ever, just in fragments. Only two of Liz Harris’s records are about treading the landscape. The art sleeve for Dragging a Dead Deer Up a Hill, an album now arguably revered as an underground classic for a hundred interpersonal reasons (drone, dream pop, "rain music", whatever you want to call it), pictures a young Harris in the foreground of a forest, shrouded by the murk of its tree branches. 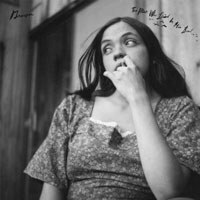 It’s a presence that exists imprinted on the album -- an older version of Harris, maybe, but it’s her imprint nonetheless -- and one that makes Dead Deer the most humane Grouper release there is. As nightmarish as some might consider Harris’s music, there’s something in the recordings she made five years ago that sheltered from the storm. Dead Deer could be a meditation on the modern natural disaster movie; it soothes as nature collapses inward. It’s as if The Man Who Died in His Boat, the second album to feature any sign of life in its artwork, seeks to be that girl’s companion, offering a reflection piece on the journey behind Harris’s classic five years on. Dead Deer hasn’t been around that long, but its cult status only exists for the voice sinking behind the scenery. The Man Who Died in His Boat feels immediately of its time, a period we know to be completely unique. It culls some of the most accessible Grouper material ever, just in fragments. These songs come from a time in Harris’ career where a deftly made pop song could be channeled like a spell through an enormous wall of sound. Twinned with Harris’s half-drone, half-folk masterpiece, it shows her free roaming rather than on the epic elemental journey. These songs don’t fit to the same vision, necessarily, and so while they call back some of her most instantly felt music, it often feels like listening to the tuning of a guitar between takes or sorting through delay pedals and leaving the tape running. In that sense, these are b-sides not for a lack of quality control, but for showing inimitable moments of the journey. The moment-to-moment of The Man Who Died in His Boat is where its real experimental nature lies. These songs intone the creaking acoustic beauty of Dead Deer, but the stitching between them is far less defined. "Difference (voices)", with its psychedelic self-removing guitar lines, recalls the endless echoing of Boris’s drone classic Flood but with more looseness and freedom of direction. It’s not being driven, and Harris lets the song roll through her, plucking with grace but a detachment to the song of it. It has no ebb and flow leading into "Vanishing Point", a sharp, shaky piano concerto that sounds like a brighter version of the new ambient territory Harris went on to create with A I A. But to sequence Grouper’s 2008 again is counter-intuitive. It’s easy to see these songs being leftovers because they lack destination, which isn’t to say they suffer -- it’s just hard to imagine lending them to something bigger. Such is the nature of this experiment: it’s enough for the compositions on The Man Who Died in His Boat to exist on their own terms, and it’s fascinating to see how exact a piece of music Dead Deer became in between takes. There’s a heavy-handedness to the more distinctly Dead Deer tracks leftover. "Cloud in Places" is strummed with the same illusionary tricks as "Heavy Water", able to mar the foreground with the background, but louder and more urgent. If Dead Deer owes itself to drone, its in how it’s paced. The record is slow and patient, able to let the tidal waves pass it by. "Cloud in Places" is an example of a more intrusive and more rapid cut left on the floor. On "Vital", Harris disorients by mixing her voices in together in a way unprecedented for her project, letting different phrases envelop each other and twisting the track internally. It might not have been fitting to mix the lyrics of Dead Deer so obliquely, especially since they were so suppressed by the album’s dense atmosphere, but "Vital" still feels like a piece interconnected with this time when Grouper was a vocal project as well as melodic one. It’s a time that The Man Who Died in His Boat recalls, and so yes, it’s near impossible to separate it from the album it’s flowing into at all times. Both are bound by time, and by what led from it. Harris became an unlikely force in a genre niche that makes artists as good as invisible, touring with Animal Collective and playing these slow, drizzly compositions to people who knew her before she’d come onto the stage. Both records have back stories that revel in some sort of pre-ordained twilight -- of Dead Deer, Harris recalls being coerced into fetching the body of the animal for a big sister figure. As for the story of The Man Who Died in His Boat, she cites a boat washing up on the shore without anyone in it. Five years ago, it wasn’t aliens and sparse wastelands that Harris was soundtracking. It was people, sheltered or disappeared. The Man Who Died in His Boat has the immediacy of human contact on its side.